How Sip2dial helps your business by its text messaging software? 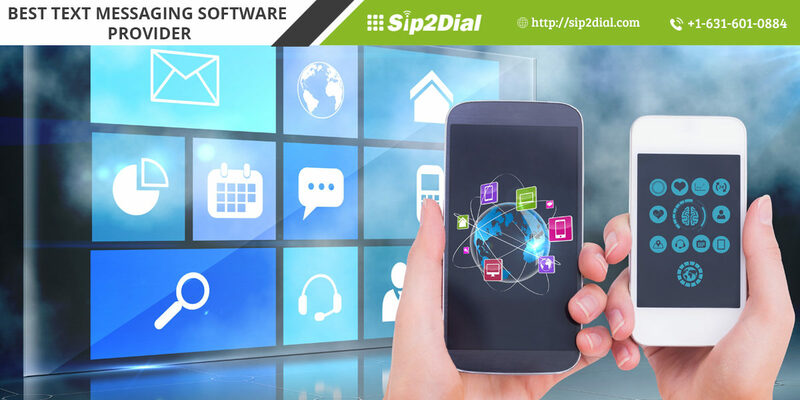 Home How Sip2dial helps your business by its text messaging software? What is text messaging software? Instant messaging and e-mail are examples of computer software designed for delivering human-readable messages in formatted or unformatted text. Software that is used to deliver instant messages and emails are known as a text messaging software. How Your Business is benefitted from Sip2dial’s text messaging software? Do you know how this world is running now? Have you ever imagined how Beijing is falling over New York instantly and vice versa? The distances have been covered by tiny frameworks or what we called as software. This software is fitted into PCs and smartphones in order to work as they are programmed. When Text messaging software operates, it instantly sends a number of emails or SMS which is now being used in most corporate houses, small business organizations, and many more institutions. Text messaging is viewed as substantially more advantageous and administration arranged channel of correspondence, enabling clients to determine issues without anyone else time as opposed to attending to hold.Sip2dial’s text messaging software is instant, reliable and cost-effective. These unmatched services can reach out any handset, anywhere in the world! Being one of the most rewarding marketing tools, no doubt text messaging software has been there in the market around for many years and is going strong. Whether a Promotional SMS or Transactional SMS, by Sip2dial’s text messaging software they can be sent quickly and are read quickly. They have the element of rapidity. So if you want your information to quickly reach out to maximum people and be read and responded promptly then choose Sip2dial’s professional Text messaging software and boost your business to up. Unlike other marketing channels, Sip2dial’s text messaging software does not keep you wondering whether your message reached the target audience or not. This advanced text messaging software is driven on ‘permission’ that means the people who receive your message are open to getting such information or might themselves have asked for such updates. Whether it’s about call center business or any other, Customers appreciate brands that value their time. E-commerce companies call centers and government institutions are good examples of it. They fastidiously utilize very much planned SMS alerts to keep clients on the up and up on their request and conveyance status. Another example is the way banks keep their customers updated about account balance, deductions, deposits, withdrawals, etc. This can also help you cut down on customer care service related costs. When it comes about to communicate, many mediums are there like print media, Television Media, and others. But reaching to the targeted audience through, text messages or emails is much cheaper than the conventional methods. Sip2dial’s text messaging software is equipped with many advanced features that are rare in the market and this comes at a price that is affordable even for a small business. Hence now you can run successful messaging campaigns to reach millions of people quickly and effectively at affordable prices. Sip2dial offers you best text messaging software that speaks to a savvy, effective and secure approach to convey. Your business should prosper does not matter whatever happens and the text messaging software from sip2dial is like a juggernaut that keeps going, unlike others. Previous Previous post: 5 Things to consider before choosing VoIP for small business. Next Next post: What Is Call Tracking? How Call Tracking Software Can Make Your Small Business To Grow Bigger?